mmm pie walmart pie sweet potato pie pie season patti labelle voulez-vous manger cette tarte avec moi ce soir? Thanksgiving may have come and gone, but that doesn’t mean Walmart’s ready to give up on the celebrity pie fever that swept the country last month. No siree. 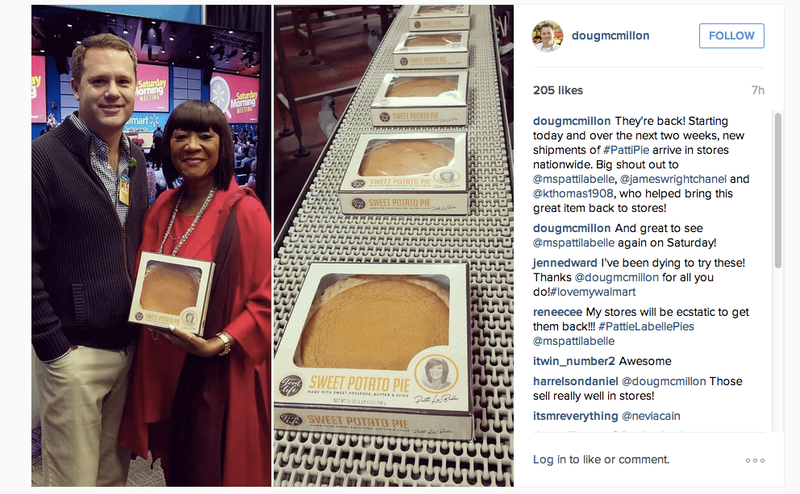 Instead, the company says it has restocked the unusually popular Patti LaBelle-branded sweet potato pie — with an assist from some two million pounds of sweet potatoes. CNBC reports that the new shipment of pies will be delivered to Walmart stores across the country in the next two weeks. The pies became something of a sensation last month with the big box retailer unable to keep the dessert (or not dessert?) on the shelves. Celebrity pie fever was the brainchild of Kinna Thomas, senior buyer for cakes and pies at the store, who wanted to improve the chain’s desserts. She began the process of sending her family sweet potato pie recipe to its mass-baking suppliers to find the best pie. 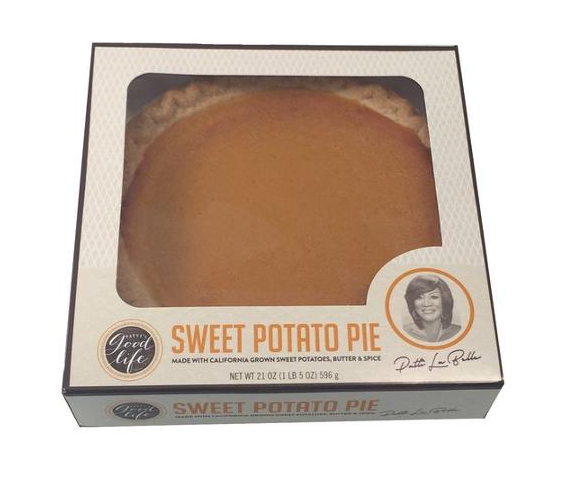 Then, somehow LaBelle – who is apparently known for her sweet potato pie – added flourishes to Walmart’s version before it went into mass production. While the pie has been for sale nationwide since spring, it didn’t gain traction until recently thanks to a combination of a few things: fall began, Thanksgiving approached, and a much lesser-known singer than Patti LaBelle posted a video review on YouTube that became a viral sensation, turning the pie itself into a viral sensation. Ales tells CNBC that in the 72 hours after the video went viral, the company sold one pie per second. “At the end of November, the pies were the most-requested item across all Walmart Wish Lists,” he said, noting that the pies will now be available all year.